Toyota has invested a lot of time and effort into their SUV lineup as consumer trends show that more people are shopping for SUVs than ever before. 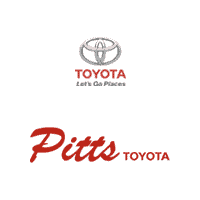 Offering a few different sports utility vehicle options, Toyota has always been a popular choice as their dedication to quality, safety, and innovation has put them at the top of everyone’s list. The Toyota RAV4 is a great example of this as Toyota has been working hard to continuously improve the RAV4 to make it the most technologically advanced SUV on the market. The 2019 RAV4 offers all many different trim levels that allow you to choose from anything from the base level to the most fully loaded SUV that money can buy. With all of this comes competition, and the SUV competition is fierce. Battling it out against some of the biggest names in the industry, Toyota has not only made a name for themselves in the SUV niche, but have developed many standout features that competitors just cannot beat. Today, we are going to review three of the competitors and compare these features. One of the most interesting competitors on this list is the 2019 Subaru Outback. The Outback may not be as popular as the RAV4 but it is worth mentioning that they share some of the major features found on 2019 model SUVs. However, as you can see in the features below, the RAV4 really shines where it matters.